The total refining capacity of India in 2018 was 5,010 thousand barrels per day (mbd), which is 15% of Asia’s total refining capacity in 2018. The company’s report: ‘India Crude Oil Refinery Outlook to 2023‘ reveals that the country’s total refining capacity is set to grow at an average annual growth rate (AAGR) of 5.3% to 6,525 mbd in 2023. 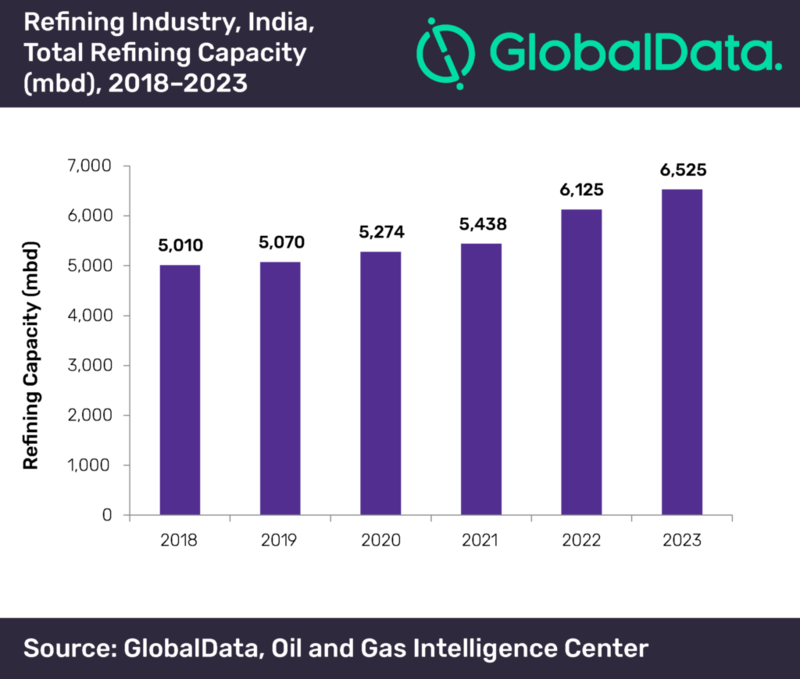 India’s planned and announced crude oil refining capacity is expected to increase to 580 mbd in 2023.